I think this is Gloria’s favourite weapon. I can’t award myself a star if I feel I enjoyed a meal too much. You know, only FAT people enjoy food like that? Is that what you want to be? Well, it’s what you already are, so, no star for YOU. She tries to turn it so I want to reward myself for restricting. I am fantastic, apparently, at sabotaging any attempts at recovery as Gloria manages to twist my intentions for good to work it out so I end up doing what she wants anyway. Like I’ve said previously, she really knows me and how to fight dirty. Look at how starting running again turned out. It was great to help me lose the weight and I could hide in plain sight – of course I’m losing a bit of weight I’m exercising heaps – all for a good cause, will you sponsor me? I really did start with good intentions. 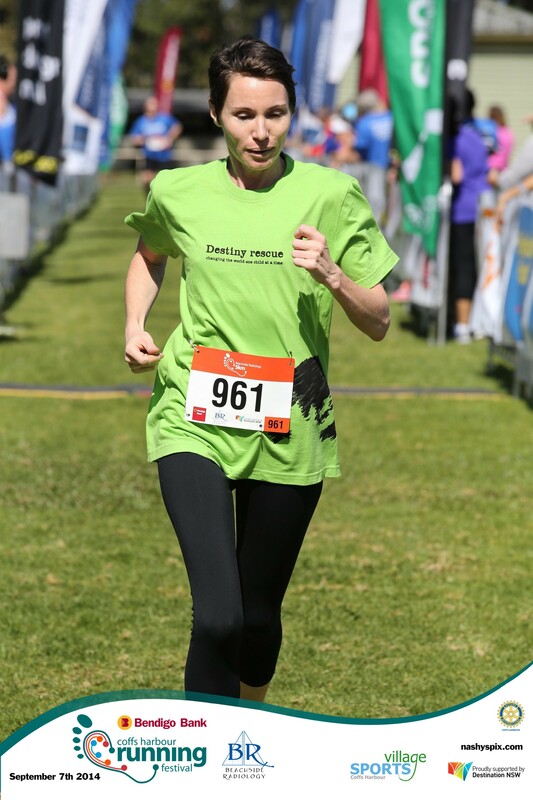 Exercise to help fight my depression and raising money for destiny rescue in the local running festival. But a meeting with my mentor showed me that effectually I was asking for sponsors to fuel my anorexia. After that I felt I couldn’t in all conscience ask for sponsorship. My health was deteriorating rapidly at that point, anyway, as Gloria really took hold. Even my doctor told me to stop running. In the end close friends were telling they would sponsor me to not run. But I felt obliged to run, or at least walk, so I could collect the money pledged. Which I still feel too guilty to do. I will collect it, when I remember more what I started out to do, not what I ended up doing. The hard thing is that not even wanting to be able to run again and be strong is motivating enough to want to gain. I did love running and how it made me feel, but I’m confused as to which side of me was getting the most pleasure out of it. And the terror I feel at having to choose to gain weight is just overwhelming. Seriously, right now you might as well ask me to offer my children as child soldiers. Gloria tries to tell me that I can regain health and strength and remain at this weight. But no one else agrees. She uses guilt to keep me from eating more than necessary as this lie festers and keeps me stuck here.